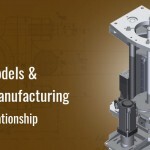 Machine tools and die manufacturers continuously seek new opportunities for generating business leads that gets to RFQs and its closure by improvising their services. Current inbound marketing techniques, such as digital marketing brochures do generate plenty of leads. However; from manufacturer’s perspective, it is a time-consuming task. According to them, 3D designs generated with CAD software such as SolidWorks, Autodesk’s AutoCAD etc. for tools and dies design to fabrication and all the way to closure with RFQs by better design delivery. Ultimately, it adds value to their entire lead generation process. 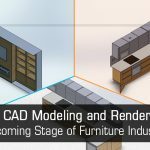 In this era of boosting sales through digital medium, 3D CAD models with rendering and assembly animation videos, it helps in increasing design intent communication. Due to several such reasons, 3D CAD models are referred to as ‘sales activator’ by most of the tools and die manufacturers. Most CAD software has the basic inbuilt rendering tools and plugins, to avail better finish of the assembly model that can be used in product sales catalogue. Better design intent and communication is just one of the advantages. The list of takeaways for manufacturer by using CAD is very long. 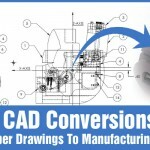 We bring you a listicle that shows several beneficiary aspects of CAD impacting sales directly. CAD allows correcting, editing and upgrading initial 2D drafts at any point of design stage. This makes CAD designs flexible and versatile; while empowering manufacturer to align those designs to their shop floor’s changing condition. Additionally, animation videos and walkthrough of 3D CAD assembly models make the complex design of machine tools easy to perceive. The convenience remains same for the distributors and other professionals downstream the supply chain for tools and dies manufacturers. Standard designs make the manufacturer, a quality supplier in market and not someone who constantly gambles on the price and standards to make profits. Machine tool and die designers too, are in a much better position to offer DFMA [Designs for Manufacturing Assembly] and VAVE [Value Analysis and Value Engineering] for each design they draft. The manufacturers, for whom these design engineers work, are eventually put in the market forefront. Whether the end product is a customized tool designed for different shop floor setting or a design of dies for batch production, CAD design approach optimizes product development time and strengthens the entire process. 3D CAD models intend to take shorter design curves and deliver the products in lesser time to markets with no extra delays or counter effects on sales. The need of CAD technology for manufacturers of tool and dies do not stop at 3D models, in fact, it is just the beginning for them. Fabricators emphasize on having a design delivery team or a service provider capable of delivering designs understanding the shop floor settings for better alignment. Especially for tool and die manufacturers, the complex design (with accurate dimensioning and geometry) for casted, molded or pressed parts can be easily prepared with 3D CAD models with annotated PMI. Such annotated CAD models open up new opportunities for adopting manufacturing techniques that substantially reduces rework and hence product manufacturing cost. 3D CAD models and 2D drawings act as supercharged content to manufacturers in moving business leads closer to RFQs at a quicker pace. With faster RFQ responses and CAD ready Bill of Materials – BOMs, manufacturers are empowered to entertain the leads faster and account for scalable profit margins. Quicker response and accurate quotes increases the opportunities to deliver satisfactory results and build long term relationships with the buyer. 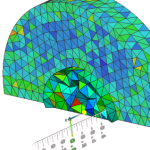 Manufacturers rely more on comprehensive design data to have robust solutions for manufacturing homegrown variety of customized tools and dies. CAD software essentially moves up the value chain standards by delivering comprehensive designs to tool and die manufacturers who are looking to optimize the engineering lead time. 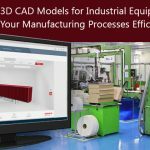 With the persistent amount of disproportionate demands, and goals of maintaining the leadership in market; expert manufacturers resort to CAD in order to drain out market instability effects. It has not only helped them improve manufacturing methods but also to stay focused on their major concern of profits through sales.